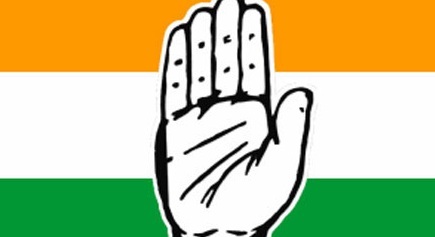 The Arunachal Pradesh Congress Committee (APCC) on Tuesday came down heavily on the State Government for allegedly ‘torturing’ the business community of the State through income tax raids. Briefing reporters at Rajiv Gandhi Bhawan here, APCC president Takam Sanjoy claimed ‘income tax officials raided a few of our people, using the pretext that the firms were tax defaulters, without any notice, and with the motive of torturing business groups in the State’. He, however, did not give out details of the raid or the firms against which the raids were conducted. But he said the Congress party would resist any political move to ‘investigate or torture any of our workers and leaders – or, for that matter, any Arunachalee – without any intention of goodwill’. He added that the ‘illegal government’ under Chief Minister Pema Khandu, instead of initiating a CBI inquiry against various scams was initiating an inquiry against opposition parties and groups only. “We had placed forward the composite sanction system adopted by the Pema Khandu Government, which of course is considered an illegal government, but it has not come forward to hand over the investigation to the CBI,” said Sanjoy. Meanwhile, the APCC has congratulated Rahul Gandhi for being unanimously elected as the All India Congress Committee (AICC) president on Monday. “Youth icon of India, Rahul with his elevation to the president’s post of the AICC will immensely strengthen the party and carry forward the secular and democratic ethos of the Indian National Congress,” added Sanjoy. Former Chief Minister Nabam Tuki also stated that under Rahul’s able guidance and supervision, the Congress would be strengthened even more. Furthermore, the APCC president formally inducted Peoples’ Party of Arunachal vice president Komkar Riba into the party. Riba in his acceptance address stated that he left the PPA because he realized that there was no future for a regional party in the State or elsewhere, and that PPA was a party to only ‘cut votes’.